Buy WAEC Scratch Card or WAEC Result Checker online, Buy NECO Result Checker online, Buy JAMB UTME Online, Buy NABTEB Checker Online, Direct Entry Online at the cheapest price. how much is waec scratch card, buy waec scratch card online, buy neco scratch card online, waec scratch card online, how to buy waec scratch card online, buy neco scratch card, how to buy neco scratch card online, waec scratch card online purchase, neco card, buy waec scratch card, buy scratch card online, nabteb scratch card, neco scratch card online, waec scratch card price, neco result checker card, where to buy waec scratch card, neco online scratch card, online neco scratch card, can i buy waec scratch card online, waec result checker pin, waec scratch card 2018, waec result checker 2018, neco scratch card 2018, nabteb result checker 2018. WHAT IS A SUPER ACCOUNT? 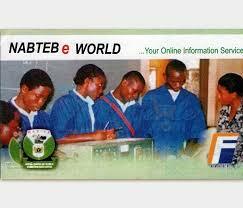 Triple G online platform for your WAEC Scratch Card, NECO Scratch Card, and all other exam cards. The need to generate scratch cards online for WAEC Scratch Cards or Result Checker online, WAEC GCE Registration cards , NECO Result Checker online, Buy JAMB UTME Online, Buy NABTEB Result Checker Online, Direct Entry Online cannot be over emphasized due to the revolutionary trend in e-commerce today. As part of our Services we provide access to quality education, Wholesale of National Examinations Access PINs WAEC Scratch Cards online, NECO Result Checker online, Buy JAMB UTME Online, Buy NABTEB Checker Online, Direct Entry Online and other related service. With the power of TRIPLE G team of talented people, we provide super value, high quality, relevant technology, customized systems with good customer care, support and the best price for all your exam cards. Register today and enjoy our wholesome services. You can pay with your ATM Card, register today to enjoy these wholesome services. 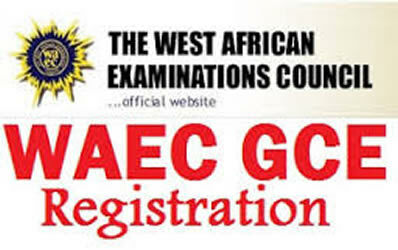 The registration PIN for WAEC GCE can be bought on our website www.triplegltd.com, you can also have answers to the following questions there; how much is waec scratch card, buy waec scratch card online, buy neco scratch card online, waec scratch card online, how to buy waec scratch card online, buy neco scratch card, how to buy neco scratch card online, waec scratch card online purchase, neco card, buy waec scratch card, buy scratch card online, nabteb scratch card, neco scratch card online, waec scratch card price, neco result checker card, where to buy waec scratch card, neco online scratch card, online neco scratch card, can i buy waec scratch card online, waec result checker pin, waec scratch card 2018, waec result checker 2018, neco scratch card 2018, nabteb result checker 2018, waec result checker for 2018 result, waec scratch card, how to check waec 2019 first series result, how to check waec result for 2019, waec scratch card for checking 2019 results. Candidates MUST conclude registration within two weeks of first access to the website during the registration period. They should ensure that their names, gender, passport photographs, dates of birth and subjects are correct. They are also to print the Admission Notice/Photo Card as evidence of successful registration which will serve as identification during the examination. The Result Checker PIN will also be on the Photo Card. Only Digital Personal Scanner should be used for fingerprint registration. You can buy all scratch cards from www.triplegltd.com. You can also get answers to the following questions: on our website www.triplegltd.com, you can also have answers to the following questions there; how much is waec scratch card, buy waec scratch card online, buy neco scratch card online, waec scratch card online, how to buy waec scratch card online, buy neco scratch card, how to buy neco scratch card online, waec scratch card online purchase, neco card, buy waec scratch card, buy scratch card online, nabteb scratch card, neco scratch card online, waec scratch card price, neco result checker card, where to buy waec scratch card, neco online scratch card, online neco scratch card, can i buy waec scratch card online, waec result checker pin, waec scratch card 2018, waec result checker 2018, neco scratch card 2018, nabteb result checker 2018, waec result checker for 2018 result, waec scratch card, how to check waec 2019 first series result, how to check waec result for 2019, waec scratch card for checking 2019 results. This is to inform all the candidates that participated in the 2018 West African Examinations Council (WAEC) May/June West African Senior School Certificate Examination (WASSCE) and the WAEC GCE for both first series and second series, that they can now check their results online. 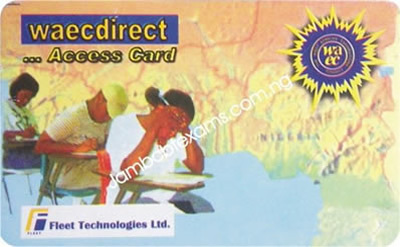 You can buy the waec scratch card online on www.triplegltd.com on our website www.triplegltd.com, you can also have answers to the following questions there; how much is waec scratch card, buy waec scratch card online, buy neco scratch card online, waec scratch card online, how to buy waec scratch card online, buy neco scratch card, how to buy neco scratch card online, waec scratch card online purchase, neco card, buy waec scratch card, buy scratch card online, nabteb scratch card, neco scratch card online, waec scratch card price, neco result checker card, where to buy waec scratch card, neco online scratch card, online neco scratch card, can i buy waec scratch card online, waec result checker pin, waec scratch card 2018, waec result checker 2018, neco scratch card 2018, nabteb result checker 2018, waec result checker for 2018 result, waec scratch card, how to check waec 2019 first series result, how to check waec result for 2019, waec scratch card for checking 2019 results. According to the statistics released by WAEC, 50%, obtained minimum of credits in five (5) subjects and above, including English Language and Mathematics. 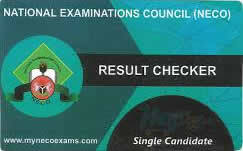 You need to buy waec result checker also known as waec scratch card from www.triplegltd.com. 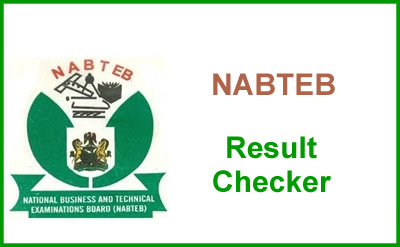 In addition to waec result checker also known as waec scratch card, we also have neco result checker, nabteb result checker, waec gce, neco gce, jamb utme, jamb direct entry. 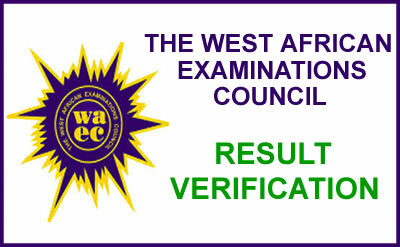 The West African Examinations Council (WAEC ) has released the WAEC Result for waec result checkers through waecdirect for the West African Senior School Certificate Examination (WASSCE) for private candidates 2018-First Series and second series, remember WAEC now has 3 series, this one is the first series conducted around February and the results are out. If you want to check your WAEC Result for free see the instruction below, You can also check your WAEC Results for other years, 2017, 2016,, 2015 etc using the same instruction here. Only 17.13% candidates passed both English Language and Mathematics; 1,021 Candidates or 9.03% will have their results withheld for various cases of malpractice. 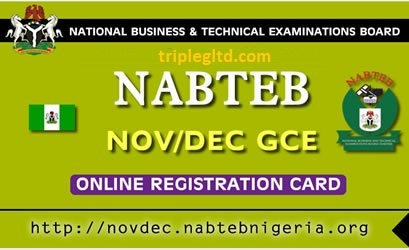 We also have on our website www.triplegltd.com and you can also have answers to the following questions there; how much is waec scratch card, buy waec scratch card online, buy neco scratch card online, waec scratch card online, how to buy waec scratch card online, buy neco scratch card, how to buy neco scratch card online, waec scratch card online purchase, neco card, buy waec scratch card, buy scratch card online, nabteb scratch card, neco scratch card online, waec scratch card price, neco result checker card, where to buy waec scratch card, neco online scratch card, online neco scratch card, can i buy waec scratch card online, waec result checker pin, waec scratch card 2018, waec result checker 2018, neco scratch card 2018, nabteb result checker 2018, waec result checker for 2018 result, waec scratch card, how to check waec 2019 first series result, how to check waec result for 2019, waec scratch card for checking 2019 results. The use of reputable cyber cafes is highly recommended as the Council will not be liable for registration errors committed by candidates. 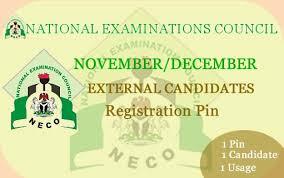 According to the National Examinations Council (NECO) The official price of the registration PIN is Eleven Thousand Four Hundred Naira (₦11,400). You can buy the PIN from our website www.triplegltd.com, although you may have to pay a processing fee especially if you are buying with your ATM Card. Our site also has answers to so many questions such as ; how much is waec scratch card, buy waec scratch card online, buy neco scratch card online, waec scratch card online, how to buy waec scratch card online, buy neco scratch card, how to buy neco scratch card online, waec scratch card online purchase, neco card, buy waec scratch card, buy scratch card online, nabteb scratch card, neco scratch card online, waec scratch card price, neco result checker card, where to buy waec scratch card, neco online scratch card, online neco scratch card, can i buy waec scratch card online, waec result checker pin, waec scratch card 2018, waec result checker 2018, neco scratch card 2018, nabteb result checker 2018, waec result checker for 2018 result, waec scratch card, how to check waec 2019 first series result, how to check waec result for 2019, waec scratch card for checking 2019 reults, neco scratch card for checking 2019 results. The Registration Pin can be purchase on our website. You can also get answers to the following questions on our site: ; how much is waec scratch card, buy waec scratch card online, buy neco scratch card online, waec scratch card online, how to buy waec scratch card online, buy neco scratch card, how to buy neco scratch card online, waec scratch card online purchase, neco card, buy waec scratch card, buy scratch card online, nabteb scratch card, neco scratch card online, waec scratch card price, neco result checker card, where to buy waec scratch card, neco online scratch card, online neco scratch card, can i buy waec scratch card online, waec result checker pin, waec scratch card 2018, waec result checker 2018, neco scratch card 2018, nabteb result checker 2018, waec result checker for 2018 result, waec scratch card, how to check waec 2019 first series result, how to check waec result for 2019, waec scratch card for checking 2019 reults, neco scratch card for checking 2019 results. Registration period is always specified by the exam body and the result can be assessed using neco result checker. CANDIDATES ARE NO LONGER REQUIRED TO STAMP OR SUBMIT THEIR ATTESTATION/PHOTO CARDS IN NECO STATE OFFICES.A CLEAR COPY OF THE DOWLOADED ATTEST ATION/PHOTO CARD, DULY SIGNED AND STAMPED BY AN ELIGIBLE REFEREE SHOULD BE PRESENTED DURING THE EXAMINATION. The neco result checker can be bought from our website www.triplegltd.com, after getting the result checker which contains the PIN Number you need to check your result, you can then follow the six (6) simple steps below to access your NECO Result. 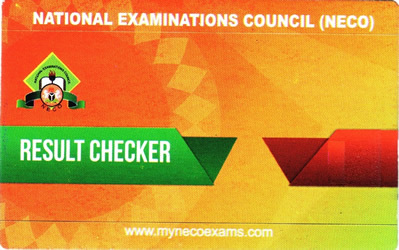 Go to NECO result checking portal at http://www.mynecoexams.com/results/. Select year Examination Type (i.e. June.July). Select year of examination (i.e 2018). Enter your card PIN number (the PIN on the NECO Result Card). Finally, click on “Check My Result” button to finally see your result. how much is waec scratch card, buy waec scratch card online, buy neco scratch card online, waec scratch card online, how to buy waec scratch card online, buy neco scratch card, how to buy neco scratch card online, waec scratch card online purchase, neco card, buy waec scratch card, buy scratch card online, nabteb scratch card, neco scratch card online, waec scratch card price, neco result checker card, where to buy waec scratch card, neco online scratch card, online neco scratch card, can i buy waec scratch card online, waec result checker pin, waec scratch card 2018, waec result checker 2018, neco scratch card 2018, nabteb result checker 2018, waec result checker for 2018 result, waec scratch card, how to check waec 2019 first series result, how to check waec result for 2019, waec scratch card for checking 2019 reults, neco scratch card for checking 2019 results. 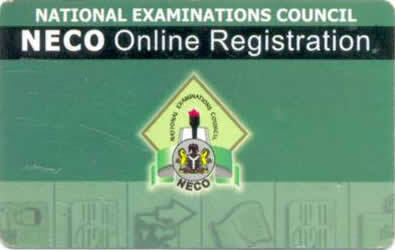 NECO Result Release Date: The awaiting of Neco results has caused tension among Parents and University aspirants. Before now, Neco takes very long time before releasing results. However, this has changed. You may be asking, when will Neco release results for 2018/2019? When will Neco 2018 result is officially out? With every passing day, various Universities and Polytechnics announce their admission screening. And you begin to wonder, what about those who are using NECO awaiting results? Don’t worry, your result would be out before Jamb starts giving admission. Many schools have already announced admission screening. 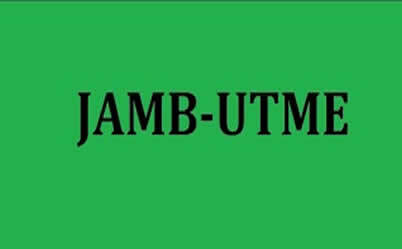 It is no news that Jamb announces admission deadline and closing date for uploading of waec and Neco results to their official portal for admission screening. You should be able to meet up with the deadline. I will keep you posted of subsequent developments… For now, calm down and hope for a very good result.